The hydration bath: adapted to all kinds of skins, this moisturizing cream mask soothes and rehydrates intensely. This mask soothes and hydrates intensively your skin, providing comfort, flexibility and softness. The skin recovers comfort, smoothness and softness. Apply 2 times a week, in the face and eye contour for 15 minutes. Remove excess with a cotton disk or with water. 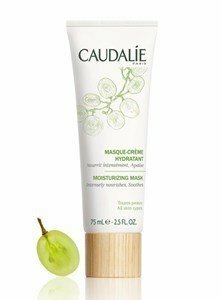 The extensive line of cleansers and toners by Caudalie consists of highly natural products (up to 99% ingredients of natural origin) to remove makeup, cleanse and tone gently your skin. An offer of foams, facial cleansing, micellar water, exfoliating creams and masks for a gentle cleaning and an unforgettable experience.